I want to download theam.Is it possible? smart & choiceful, but talktime is very poor. photo quality is good. Anonymous, 01 Jan 1970Can you ship to me in Thailand? What is your email so we can work out details? This set is very nice. Pic quality excellent, charge is slight low, sound is low, internet speed is so slow. But smart looking, overall a good handset. mehzabeen, 01 Nov 2008it costs now 7400/- (taka) in bangladesh..cheaper than nokia 7210 supernova(8450/-)....The Internet Facility Isn't Good. It's Just Looks Nice, Nothing Else. If Anyone Wants To Surf Internet Via Phone, You May Buy Nokia 3110 Classic. hey i've been looking at this phone for ever! and as i've read...isn't it only available in taiwan and some other country or something? that made me sad. Do you know any way ican get it? you have this phone right? Better Hand Phone, But having a problem with bettery duration (talking about bettery charge). It specification says, full charge duration approximately 180 hours but my experienced can'nt except this. However, image qualities are great!!! I am not able to connect to internet through my PC. Does anybody have a solution? mehzabeen, 01 Nov 2008it costs now 7400/- (taka) in bangladesh..cheaper than nokia 7210 supernova(8450/-)....do u have this cell? what do u think of it? mehzabeen, 01 Nov 2008it costs now 7400/- (taka) in bangladesh..cheaper than nokia 7210 supernova(8450/-)....Hi mehzabin,i sujest u to go for nokia 7210 supernova.7210 has gprs class 32,macromedia flash player and lots of feature,i am not sure the benq run a java software easily.I bought 7210 last week and printed some picture and quality is great. 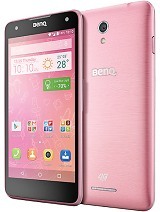 actually i wanna 2 buy this cell but i m worried abt uts unternet connectivity and talk time. What video resolution can this phone record? Qvga or qcif? Soikot_bd, 20 Oct 2008At the time of buying looked great but the color is fading within a month. Camera quality is p... morehello soikot_bd,if u hav already used it plz help me decide.in a smimilar price should i go for this phone or should i go for nokia supernoa 7210?? i just want better picture quality. is nokia 2 mp is better than its 3.15 mp? ?as a chinese set is it reliable although it has a 1y warranty, but it looks like a typical chinese set. i fear it will take me thrugh so many disturbance... so thaich one?? nokia 7210 or benq T60?? ashifraj, 06 Oct 2008can u guys suggest me a phone better than BenQ T60 within tk 8000? Bcoz ill buy one within one... moreNot good, do not buy it. Buy chaineese set instead of this. like maximus or sprint. I think software of this set is so ordinary like ordinary chinese set. but I am very happy to buy this set for its small price but various opportunities. 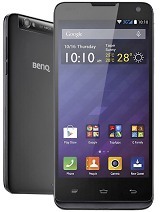 hey guys.. i want to buy a BenQ T60 phone within a very short time. now i need suggestions from the real users of this phone or whoever knows about it. I am mainly looking for a set for its sound quality with headphone and then its camera and display resolution. so pls help me providing detail informations about this phone.